The bite of butter roasted bananas in the pancake is just delicious. This is my current favorite pancake, I’ve already made this a few times last month. 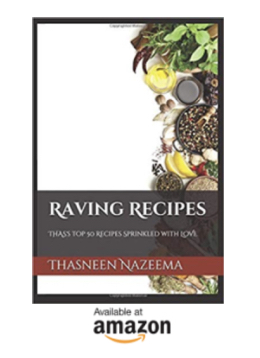 The batter is very easy to make, round cut bananas are placed on the pan and pancake batter is poured over it and cooked till golden and fluffy. 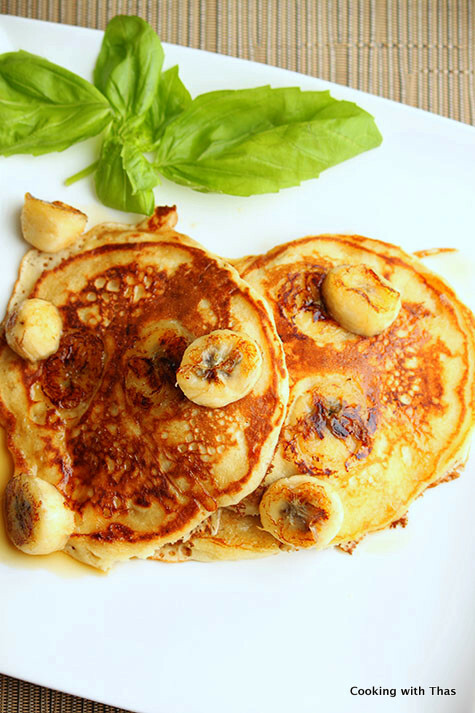 The sweetness and the caramelized flavor from the bananas enhance the taste of the pancakes greatly. Into a large bowl, combine flour, sugar, baking powder and salt well. Add egg, mix well using a fork. Add vanilla extract and melted butter, using a whisk combine the batter well without any lumps. Place a non-stick pan over medium heat, add ½ tbsp butter let it melt. Place 2 to 3 round cut bananas on the pan. Pour a spoonful of batter over the bananas, let bottom side turn golden. Flip it over and let the other side cook as well. Transfer to a plate and repeat with the rest of the batter. You could even roast some bananas in butter for topping the pancakes. While serving, place pancakes on a plate, top with butter roasted bananas and drizzle maple syrup or pancake syrup over it. Serve while warm and enjoy.